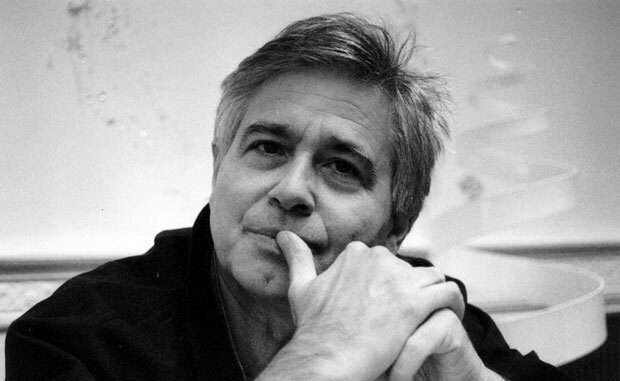 Bernard Tschumi is a well known architect, writer, and educator. He was born on January 25, 1944 in Lausanne, Switzerland. Tschumi is the son of a well known architect Jean Tschumi. He got his degree in architecture from Parisand at ETH in Zurich, in 1969. Afterwards he started off his professional career by teaching at various institutions including Portsmouth Polytechnic in Portsmouth, UK, the Architectural Association in London, the Institute for Architecture and Urban Studies in New York, Princeton University, the Cooper Union in New York and Columbia University. Tschumi not only served as a professor at Columbia University but was also the Dean of the Graduate School of Architecture, Planning and Preservation from 1988 to 2003. After graduation, Tschumi boosted his first influential project in 1983. It was a landscape design competition project with the name Parc de La Villette which gathered 460 teams from 41 countries, and Tschumi beat them all. But before this practical adventure, Tschumi had already won recognition in academic world as a theorist through his notable writings and drawings. 1983 was the year when he set his official architectural practice in Paris and in 1988 he inaugurated Bernard Tschumi Architects (BTA), whose headquarters are located in New York City. In 2002 he further expanded his practice through another office under the name Bernard Tschumi urbanistes Architectes (BtuA), in Paris. Tschumi has adopted a very unique approach regarding architecture throughout his career. He negates the necessity of chemistry between user and the building for a feasible and successful design. He states this notion in a most genuine way possible as, “Any relationship between a building and its users is one of violence, for any use means the intrusion of a human body into a given space, the intrusion of one order into another.” He is of opinion that the architectural form should not be supporting the programs and events taking place in it but instead it should be questioning and challenging the potential of that peculiar building and cultivate possibilities for it to function in an even better way. 1979. Architecturalmanifestals, London, Architectural Association. 1985. a Case Vide: la Villette. 1996. Architecture and Disjuctions: Collected Essays 1975–1990, MIT Press, London. 1994. The Manhattan Transcripts, London, Academy Editions. 2004. Veronique Descharrieres, Luca Merlini, Bernard Tschumi Architects: Virtuael, Actar. 2005. Event-Cities 3 : Concept vs. Context vs. Content, MIT Press. 2006. Bernard Tschumi: Conversations with Enrique Walker, Monacelli Press. To explain architecture in a more comprehensive way Tschumi mixed his architectural teachings with other media like film and literary theory. His demonstrations became more elaborated by 1970s when he taught at the Architectural Association and adopted montage technique to clarify programs, systems of space, event, and movement, as well as visual and formal qualities of an architectural piece. His work is quite often regarded as Deconstructive and is blamed to focus more on intellectual part than the human requirements associated with his buildings. Tschumi is counted among the prime architects of current times. He is offering his services in the field of architecture through his offices located in New York and Paris. His work ranges from infrastructure projects to master plans. Along with this he has not lost grip over his literary side and is currently appointed as a professor in the Graduate School of Architecture.